At Wall Dressing Decor we aim to exceed expectations! We're more than an interior design studio and wallpaper store - we create an experience. We offer full-service interior decorating services along with the tools and products you'll need to turn your next home dream project into a reality. From the moment you step foot inside, the ideas you entered with are immediately enhanced - the inspiration is literally written on the walls! We are excited to provide valuable insight and develop a relationship to deliver a wonderful experience and a beautiful product. Our knowledgeable staff is friendly and ready to help create your vision. Come see us, we look forward to being of service! New Ceilings is an established, insured, and trusted Orlando-based painting company that has set the standard in commercial and residential painting. We are a full service interior and exterior painting company with a focus on individual service and attention to detail that produces dramatic results in a professional, personal manner. Our focus on customer service and satisfaction shines through our wide variety of interior and exterior services. We take pride in our work and our customers love our work and enjoy working with us. Fresh coat painters provides quality interior and exterior projects, residential and commercial , decks and fences . All painters are licensed, bonded, and insured. We offer free itemized quotes. And only the top quality, eco-friendly Sherwin-Williams paint. Poe’s offers a unique experience in shopping for Wallpaper and Wallcoverings. 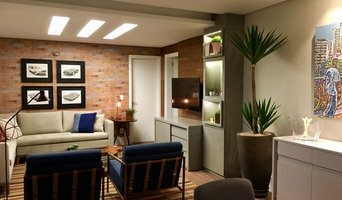 If you are looking for Interior Design ideas, Poe’s is the best place to go! We have assisted people with their Residential and Commercial Wallcovering needs for over 40 years. Let us show you how simple it can be to make decisions on all your Interior Needs. “You have to like it here at the store, you have to like it when you get it home and it has to be installed properly!” If these 3 things are successful you have made a wise purchase. Wallcoverings is a work of art that will beautify your home (and personal environment) for years and years to come. What’s more important than the place you call home, the place where you recharge and relax from the everyday stresses of life? Come in today and see what our personal attention can create for you and your environment. We offer the most unique vinyl wall decals in the market. Over 2,600 different unique designs in several sizes and colors. We here at Garage Concepts specialize in custom garage storage and organization services and specialty epoxy coatings. We work from the smallest of projects to large scale industrial coating projects. We are professional factory trained garage makeover professionals who specialize in custom concrete finishes. We work hand in hand with the customers from start to finish to ensure 100% customer satisfaction. We pride ourselves on going above and beyond the scope of work. Highest quality. Best European brands.The largest in stock selection with the cheapest prices directly from the factory. New designs every week. Delivery all over the world. Our priority is to make our client happy. If you will ever find a cheaper price - we will beat it guaranteed- that's how confident we are. Stop buying from third party sellers and paying much more! Visit us today for the best experience. Protection, Restoration & Beautification of Exterior Surfaces "More Than Just A Painting Company"
At QuickPaintingGroup Corp. is Responsability, Quickness, Warranty and Quality!!!! We have Licensee, Insurance and Bonded. We are the best in Florida..
Back in the 1960’s before the Beatles were on the Ed Sullivan show Patrick Trevison had already established his painting career. Patrick watched the Orlando area grow over the years and observed many painting contractors establish new paint businesses each year just to see them dissolve as soon as the “busy” season was over. Patrick realized that the exploding growth of Central Florida would create a demand for honest and reliable painting contractors whose reputation and professionalism could carry them through each year. Patrick seized the opportunity to create a dedicated and skilled staff committed to serving the community. Orlando Painting Company 1970sSince that time Patrick and the Orlando Painting Company have painted literally thousands of offices, warehouses, institutions, commercial properties and residential homes just like yours. Having been in the community so long it is almost guaranteed that Patrick has painted a house in your very neighborhood. Patrick established an ongoing education program that includes; personally mentoring and supervising each new employee, learning about the painting products that are currently available and which ones can best protect your home in Florida weather, understanding how buildings have been constructed and how they were painted. This information helps us to understand potential problems associated with repainting work. Orlando Painting Company 1980Today Orlando Painting Company is the oldest and most trusted painting company in central Florida. We offer the public the benefit of the vast knowledge and local expertise we have acquired over 45 years in business. And best of all – even today, Patrick is on every job working alongside his men which gives your paint project direct hands-on supervision. At Orlando Painting Company, you deal directly with the owner at all times. In addition to this, you can feel confident allowing us onto your job site or into your home. Orlando Painting Company 1990Orlando Painting Company, Inc. has earned the “Seal of Approval” from AskTheSeal.com. This means they have independently verified our license, insurance, customer satisfaction rating and checked the backgrounds of our personnel. Also, we have the highest possible rating, an A+, from the Better Business Bureau. In fact, we’ve been accredited with the Better Business Bureau longer than most other painting services have even been in Orlando. Poff ART is a full service decorative arts company that provides interior designers, builders and home owners with unique painted details that add a touch of elegance, romance or whimsy to every space. Artist and owner Eriq Poff personally designs and executes each job for consistant quality and uniformity. 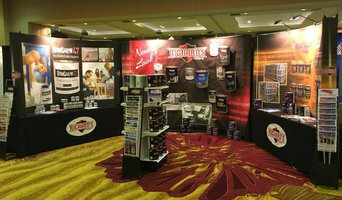 Working throughout the United States, the Poff ART company adds that unique "wow" factor to every job. Liscensed and Insured. "Relax, we're professionals" Multi-Tasken Services Inc is a real professional stucco contractor providing top quality services at competitive prices. We provide a full menu of residential and commercial stucco services to the residents of Orlando, FL. What began as painting nurseries for friends more than 25 years ago, soon became much more. Paint, ideas, collaboration, and experience combine with enjoyment of the process to give a quality product. A JuliArt wall could show nearly any subject, style, or family of colors, but it will always be layered and built with an attention to detail. Kay story has been working with me on many projects for over 20 years, and you'll see much of her beautiful work here. We have individual styles that work well together and give us an even greater range. If painting your walls or installing wallpaper aren’t your favourite jobs, it’s very well worth considering hiring a professional for it. Not just for the obvious time-saving, but there’s actually more to a good paint or wallpaper job that you might think! Whether you’re looking to paint your bedroom or living room, you’re always starting from the all-encompassing question of which colour to paint your walls or which wallpaper to choose. The next challenge is selecting the best product for your needs. And don’t even mention the work involved in preparing the wall and applying the paint so it lasts. 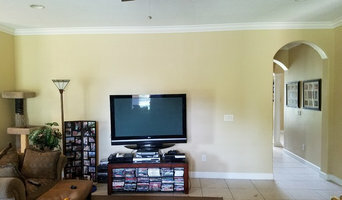 If you’re looking for a professional house painter or wallpaper installer in Orlando, FL you’ve come to the right place. You’re sure to find the best painter for your job in the Houzz professional directory. Here on Houzz, you’ll also find Orlando, FL professionals who can create a more creative wall design for your home, including wall murals or custom wallpaper. Murals drawn by an artist will often require a large space, but it’s worth investigating if you’d like a one-off feature wall every visitor will remember. If you’re after advice rather than application, here you’ll also find colour specialists that can help you in your quest for choosing the right paint colours or wallpapers for your abode. Scroll through this page to find painters and wallpaper installers in Orlando, FL. You can browse their latest projects, read reviews to see how other homeowners rate their work, and message them directly.